Just a quick post today as it's my mum's birthday and we're about to head out again for a schmancy meal! 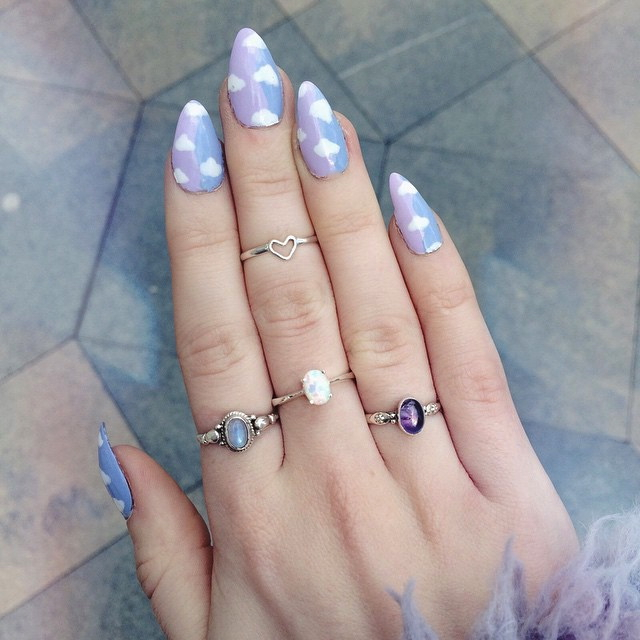 I thought I'd show you my current nails: pastel blue and lilac with white clouds over the top. I also got this super cute opal ring (middle finger) from Portobello market this afternoon, I've been looking for something similar for ages and it's so pretty! Portobello seems to be THE place to find gorgeous silver rings ! Such a nice design, I am so awful at any nail related things!